You're A Great Catch Valentine! I found these super-cute little ball basket catcher thingamabobs at Walmart and thought that they would make a cool Valentine to keep a wild first grade class busy. I created a 5x7 printable that I ended up just matting onto some spare cardstock. I attached the thingamabob (that's such a fun word) with some washi tape and them used some double-sided tape to keep the ball secure inside the basket (it's not attached with string like I thought it was). You could even just make a small card and insert the basket catcher into the baggy and then attach card with a piece of bakers twine or ribbon! 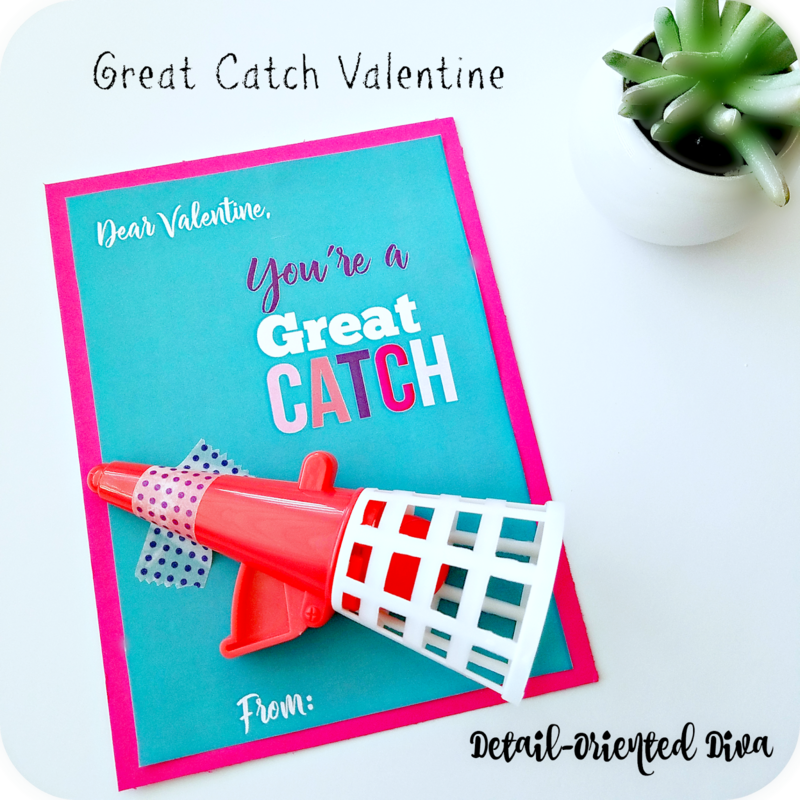 This post You're A Great Catch Valentine appeared first at Detail-Oriented Diva.